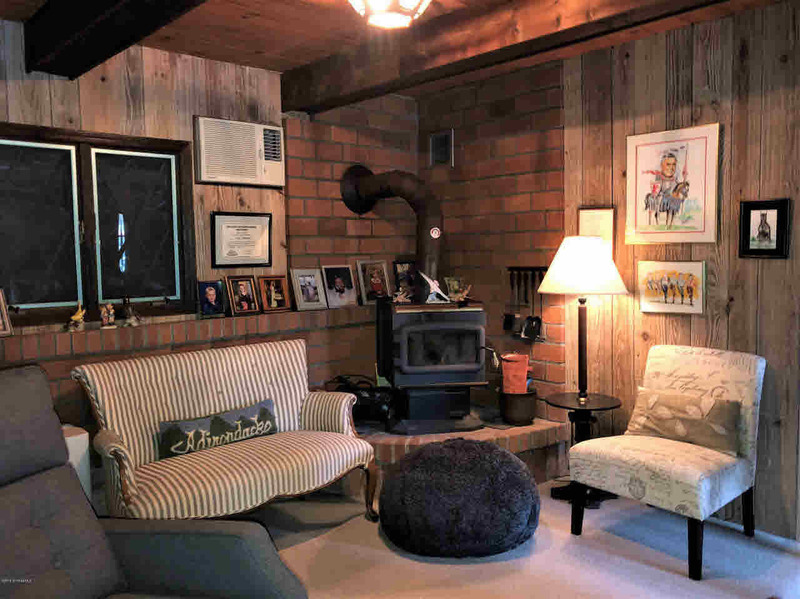 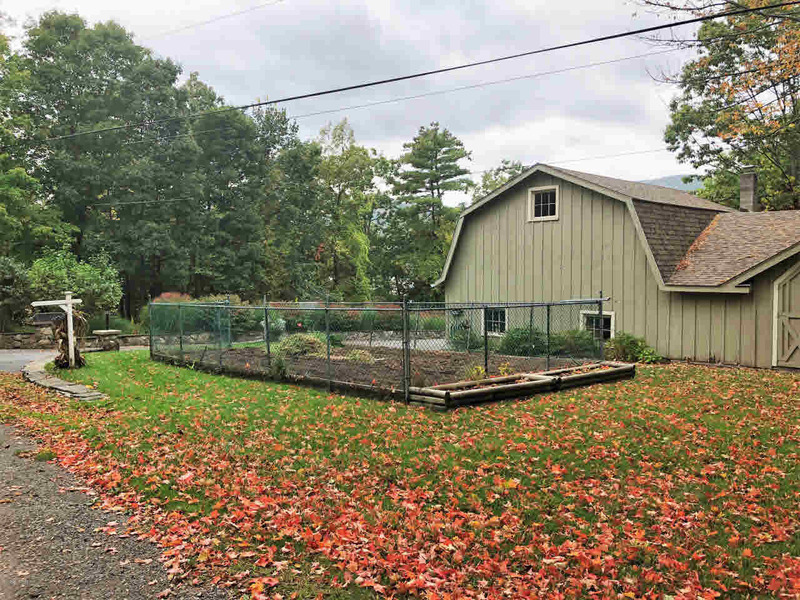 This is an approx 1800sq ft home on 2 ac. 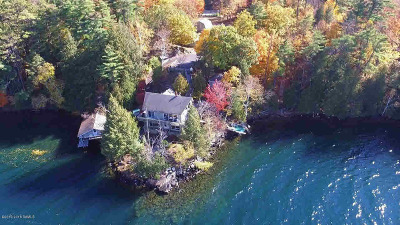 & 320' of shoreline. 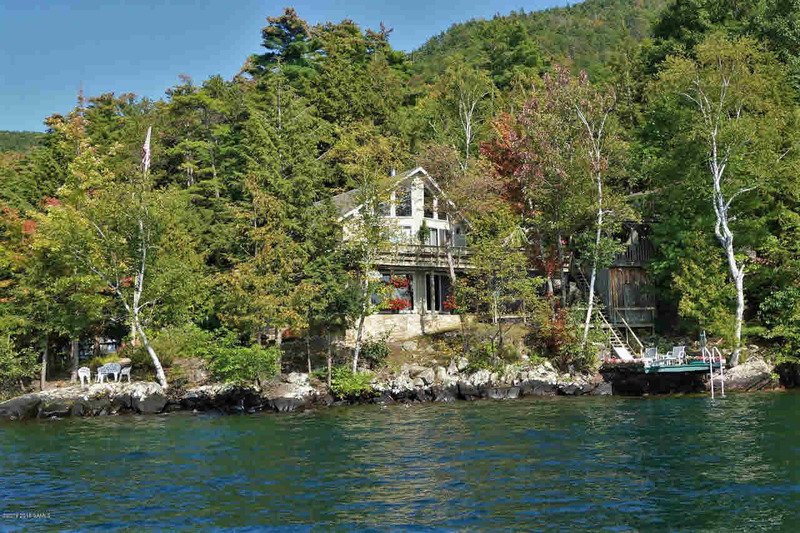 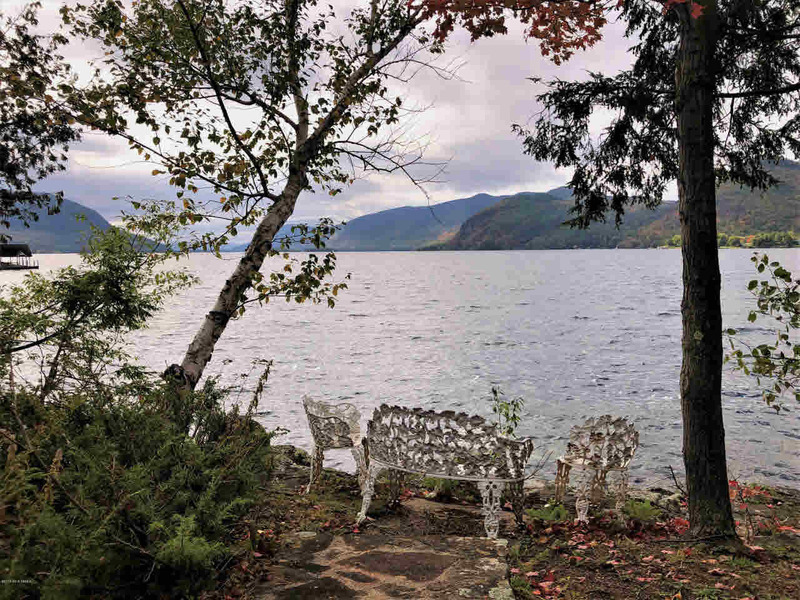 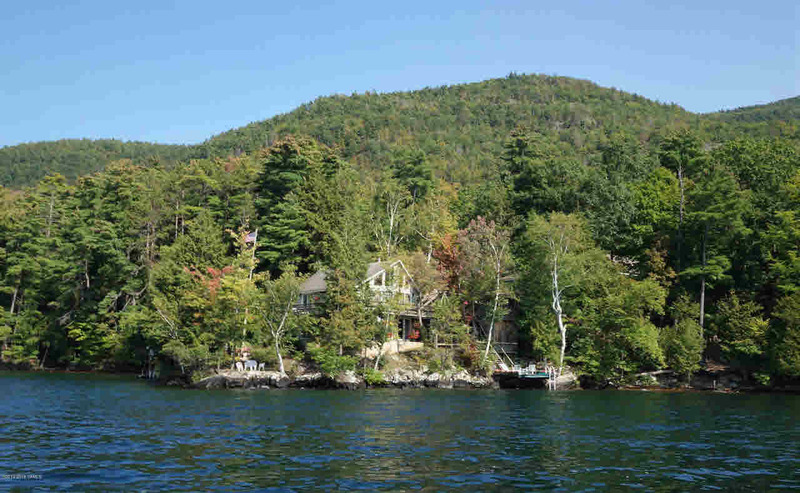 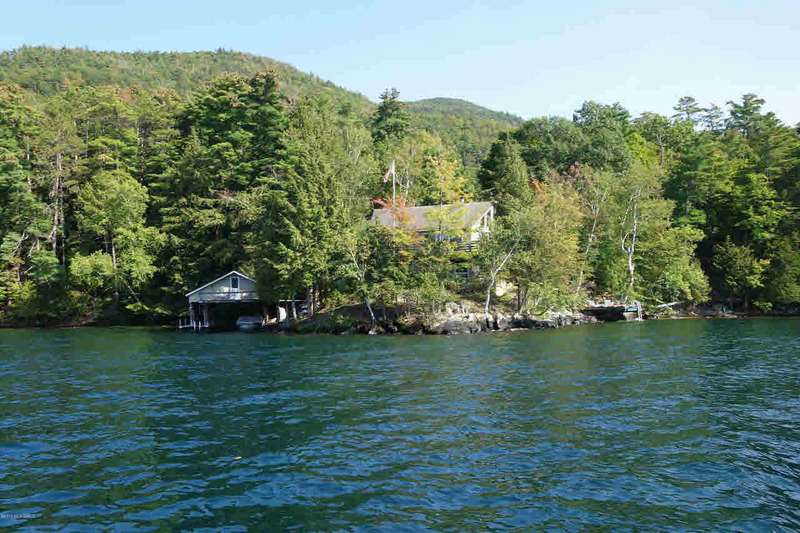 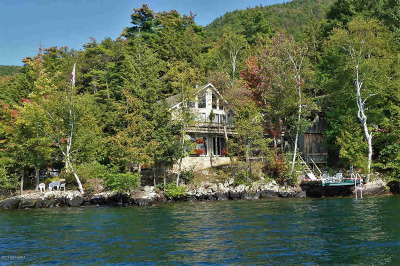 The house is nestled on a point & at the water's edge w/ the lake surrounding it on 3 sides. 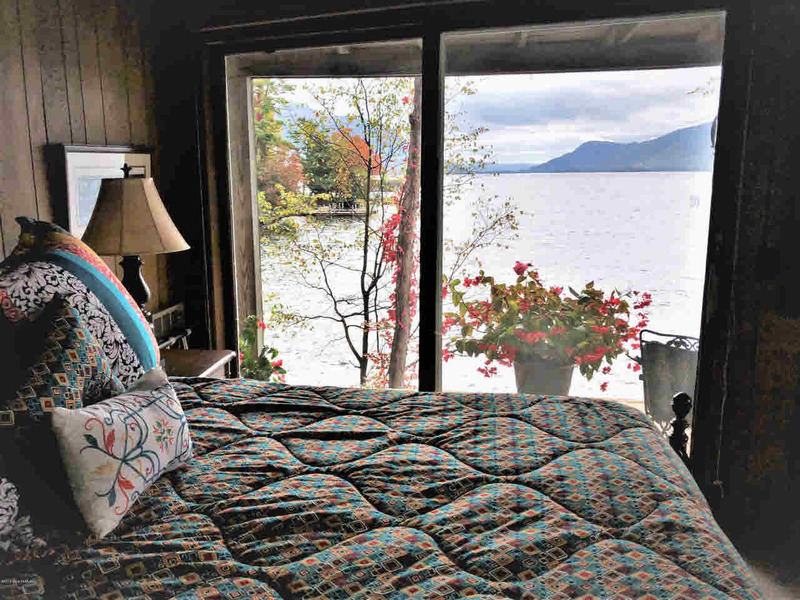 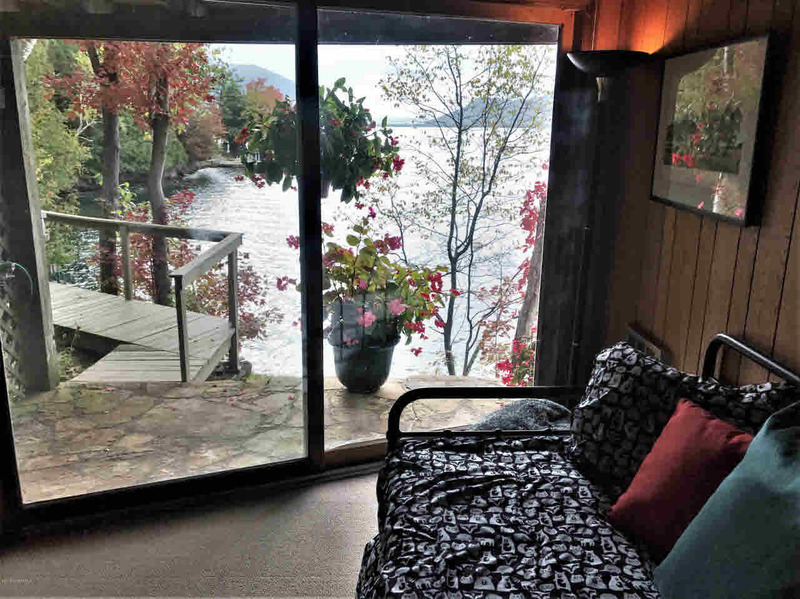 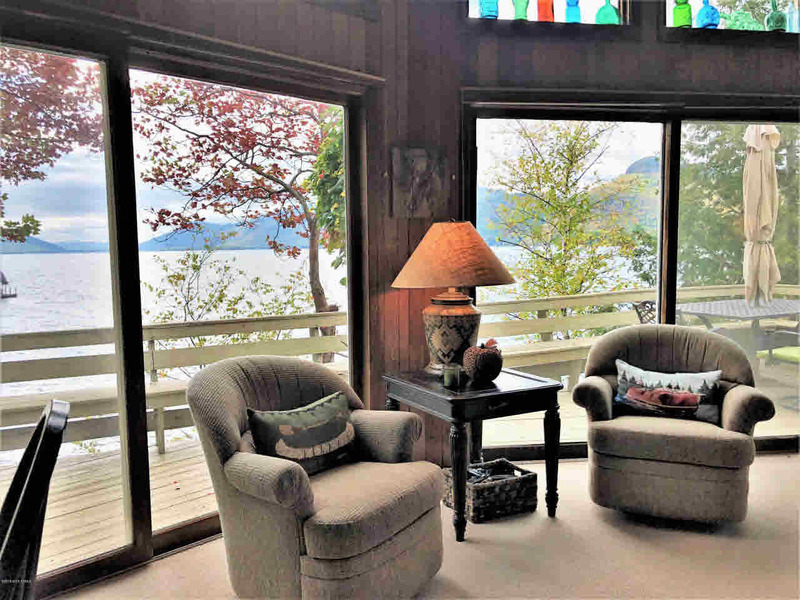 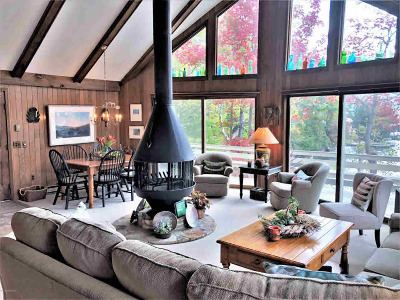 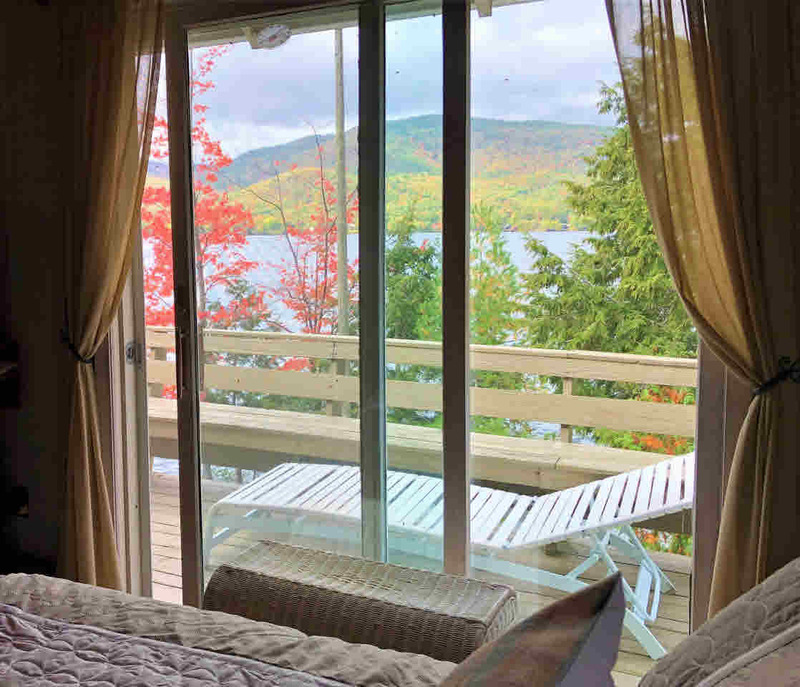 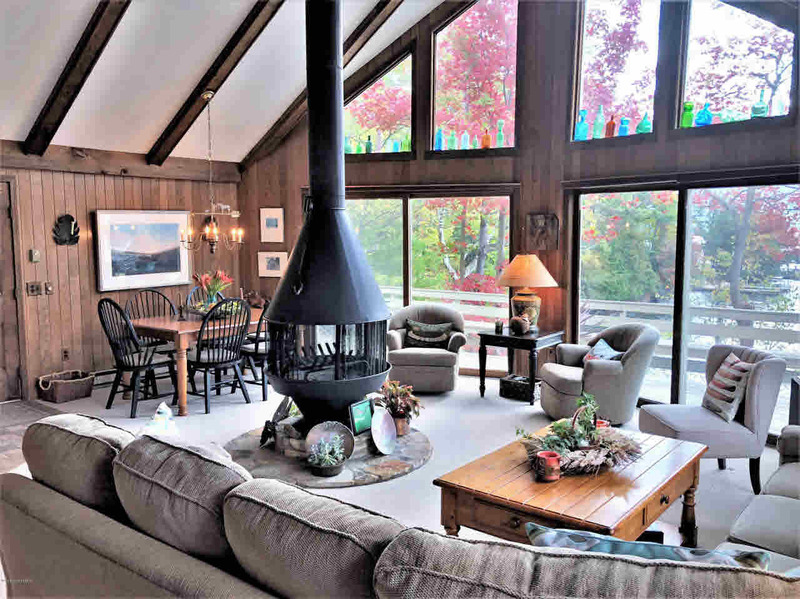 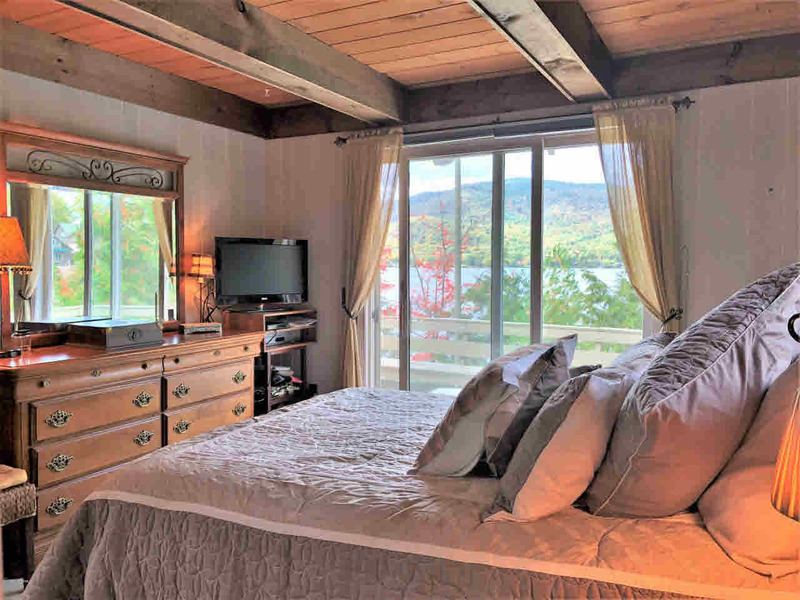 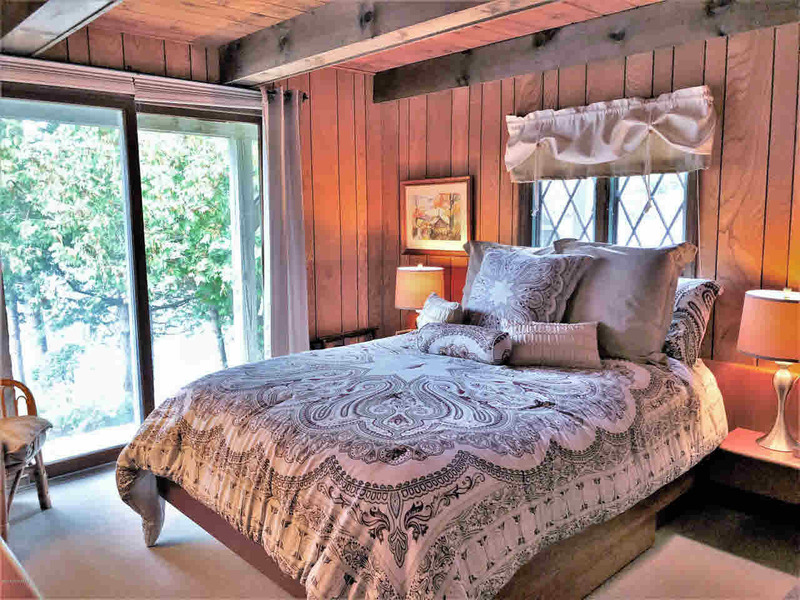 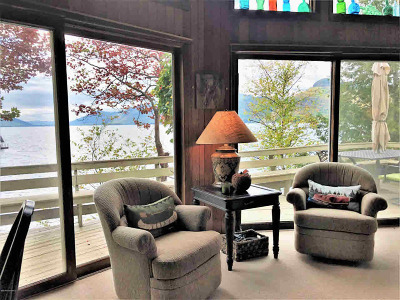 The main floor is open concept & affords dynamic views of the lake and mountains. 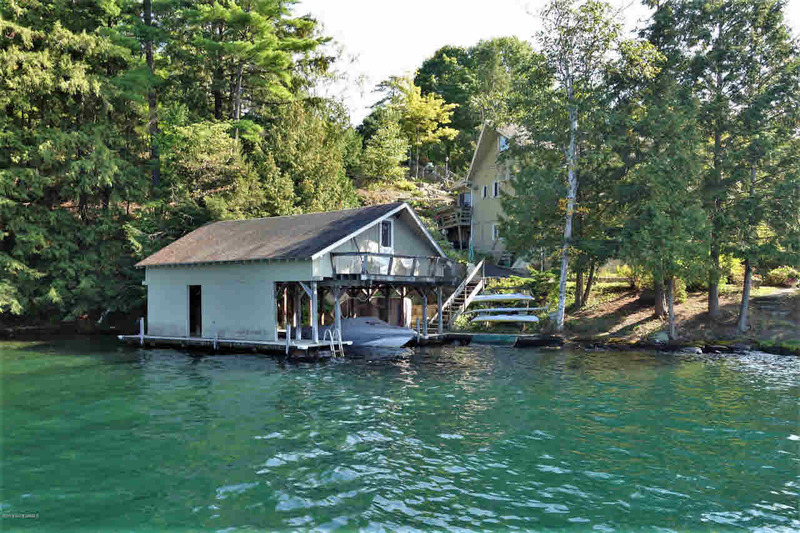 Each of the 4 bedrooms have lake views & sliders to the lakeside. 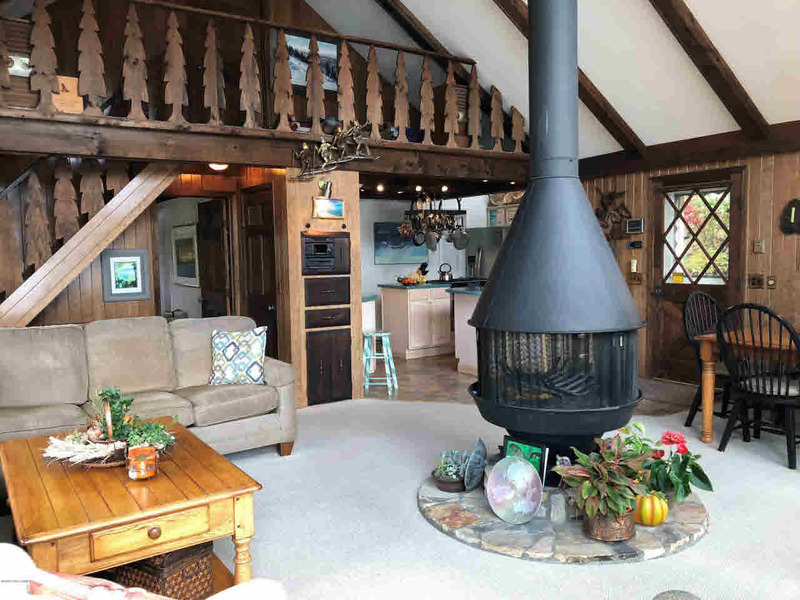 The bottom floor is fully finished & includes a wood stove in the den area. 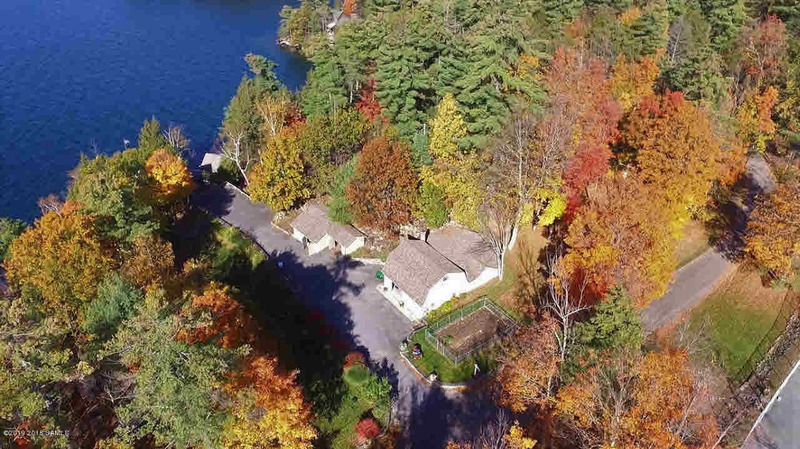 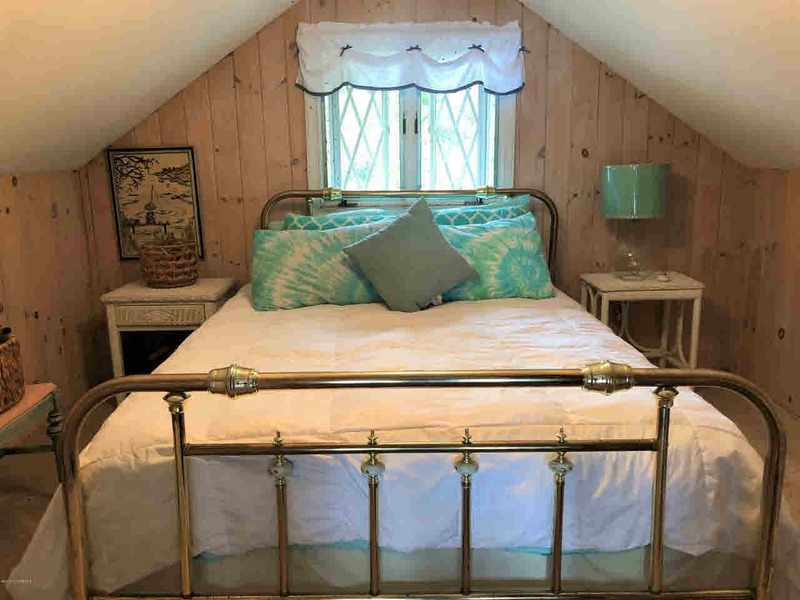 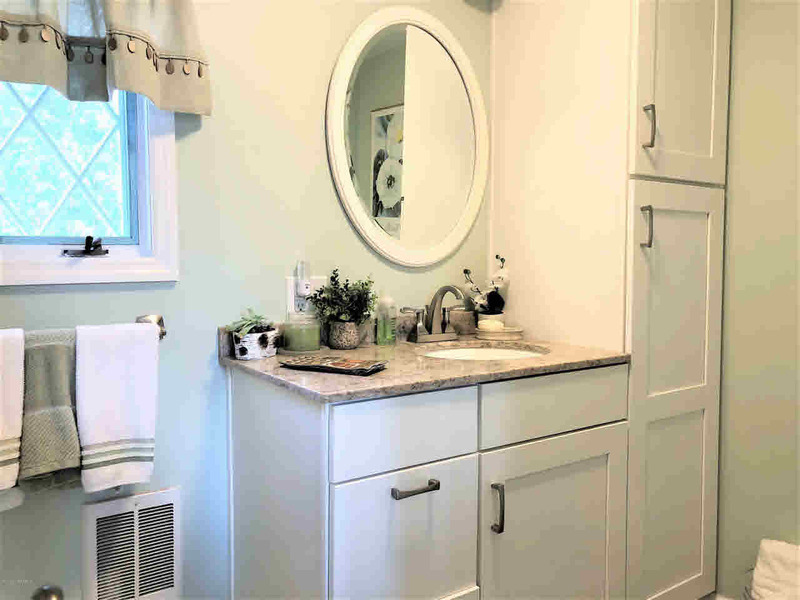 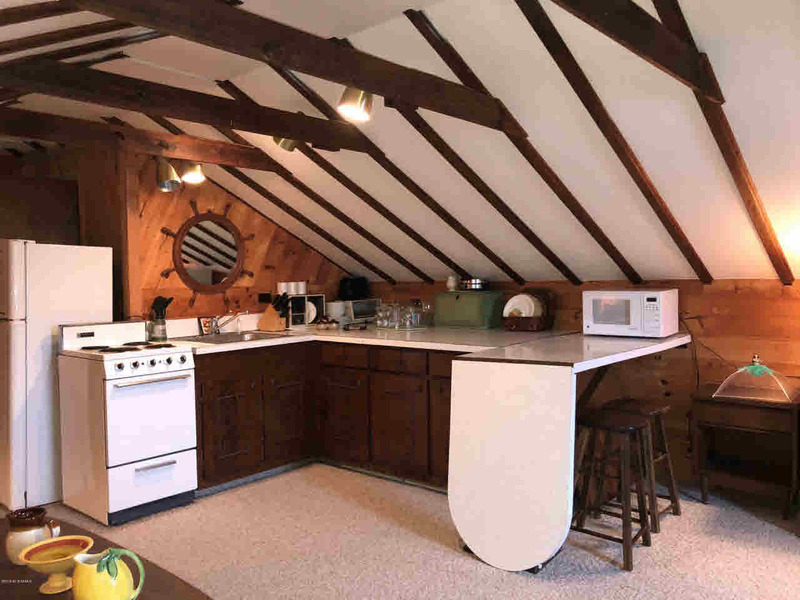 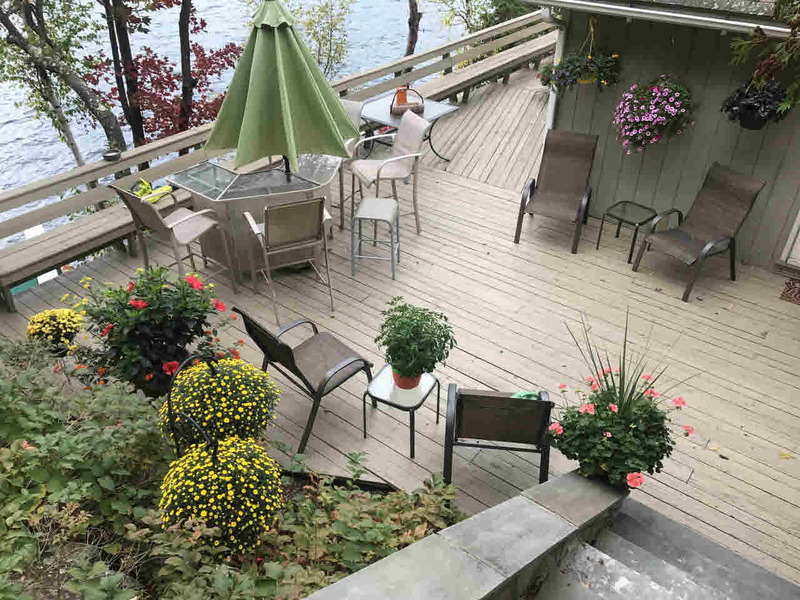 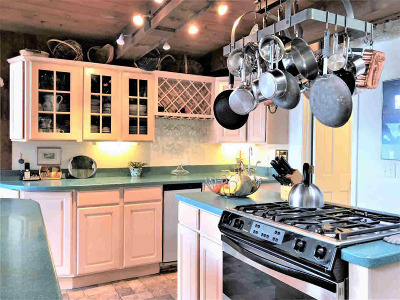 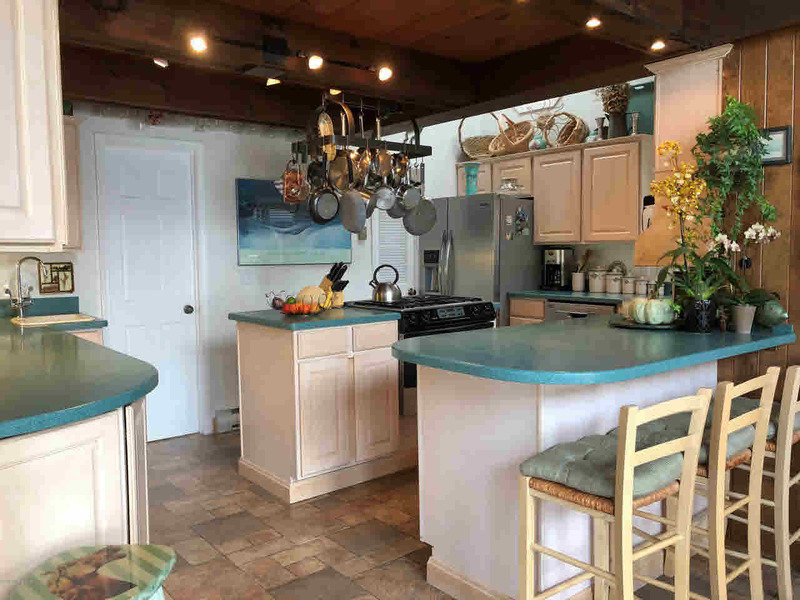 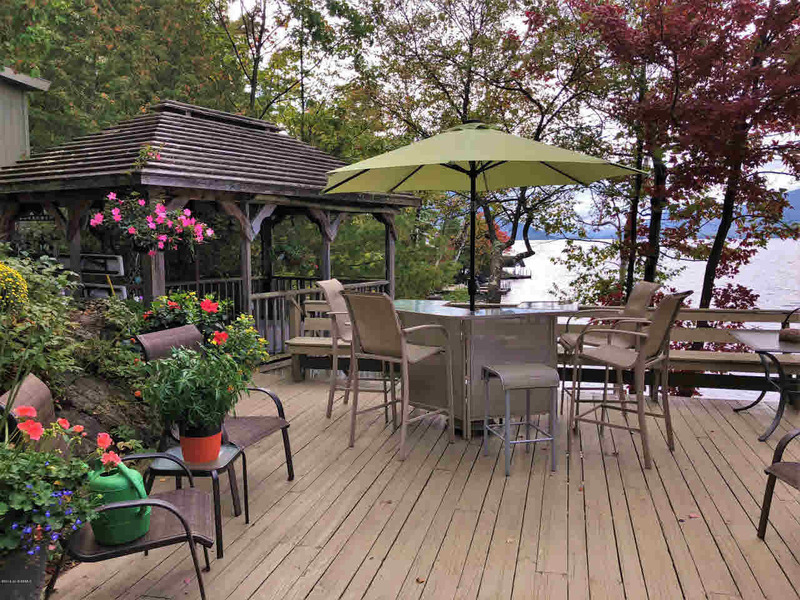 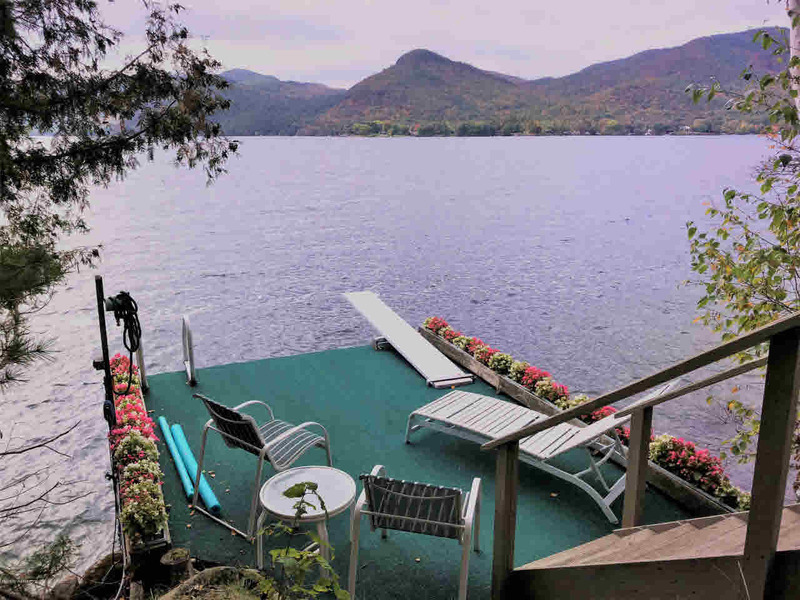 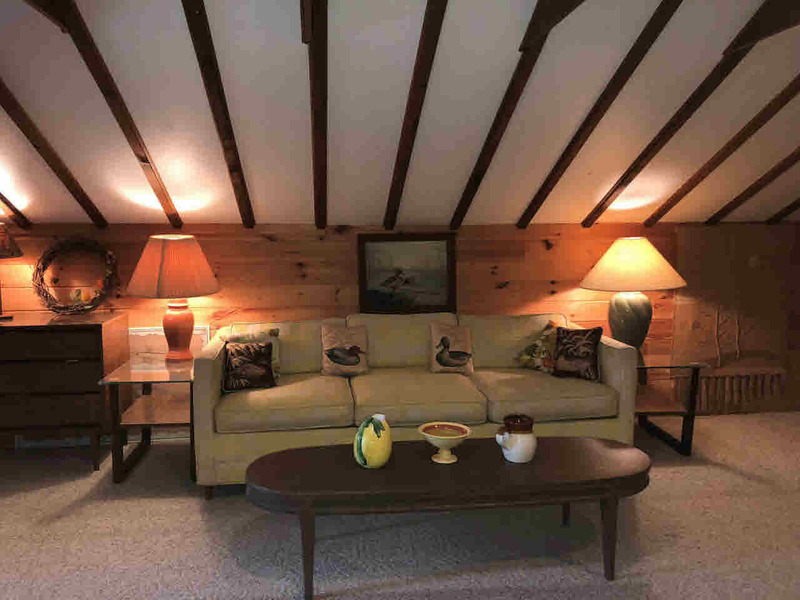 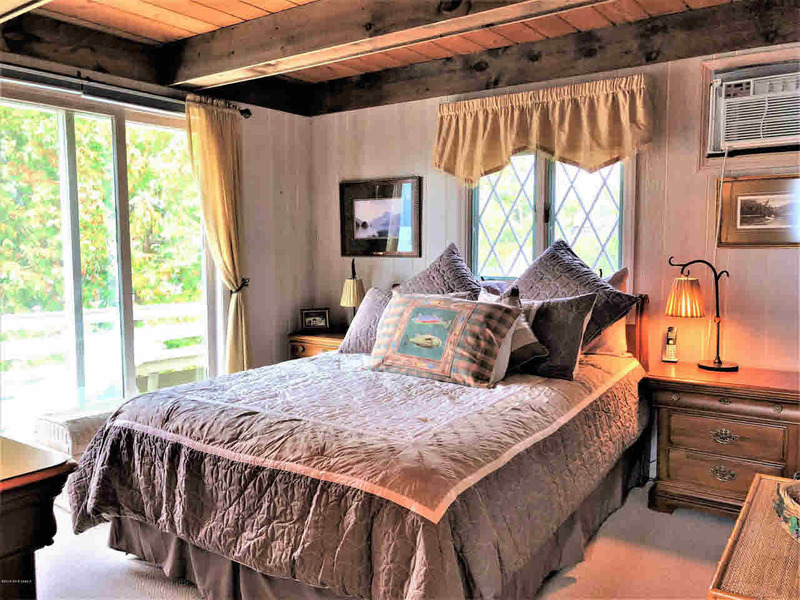 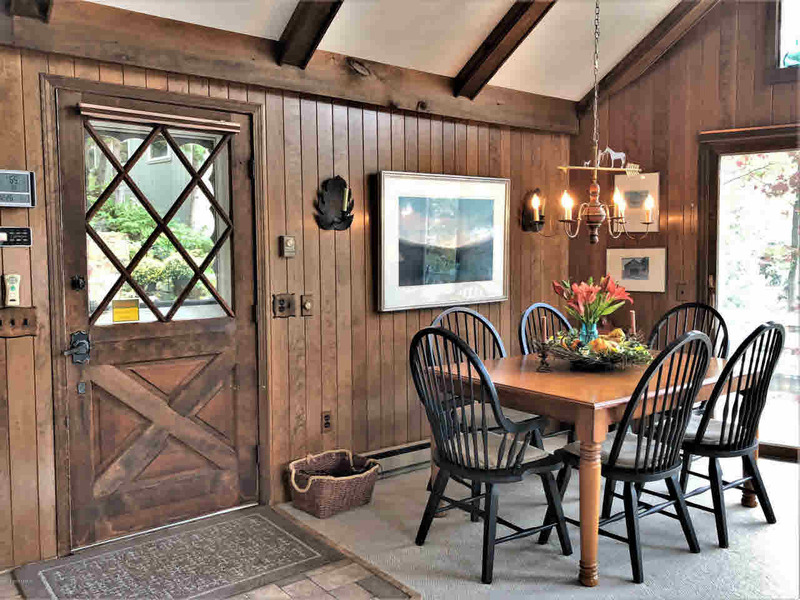 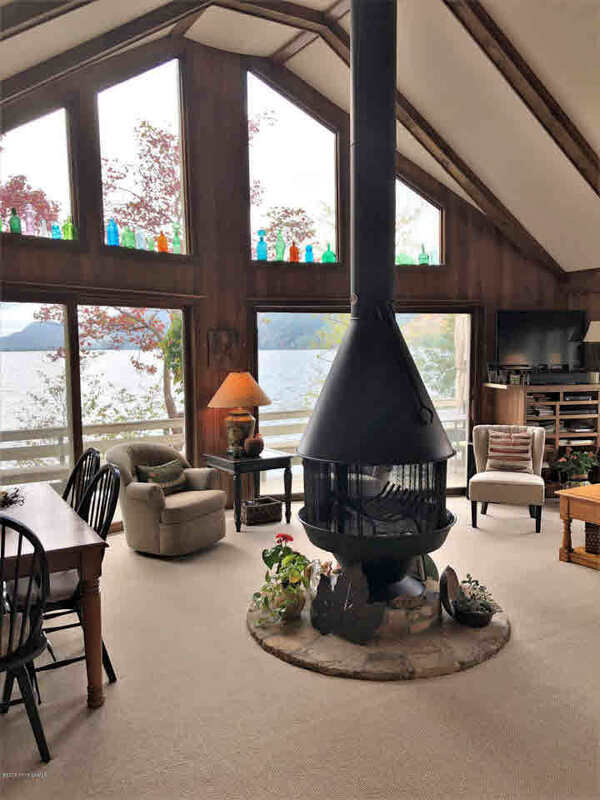 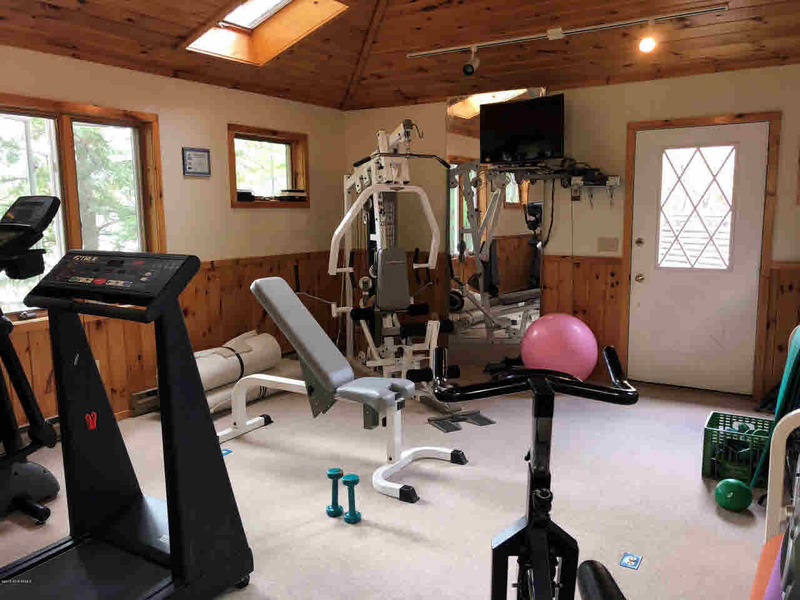 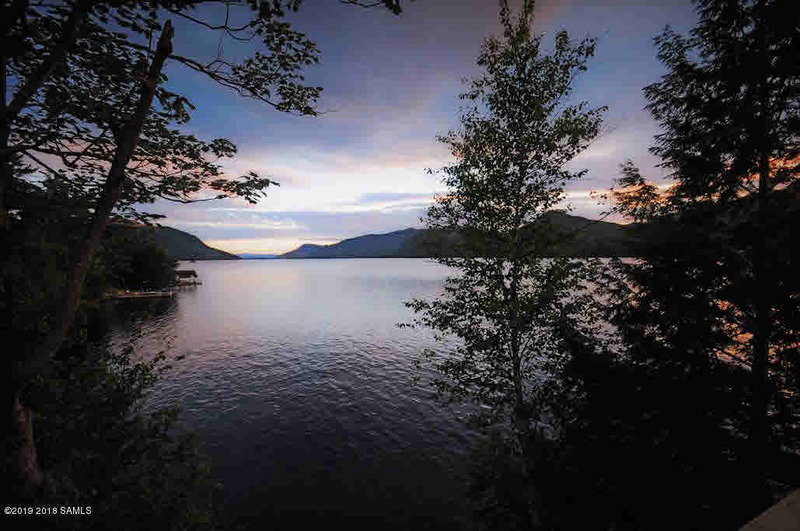 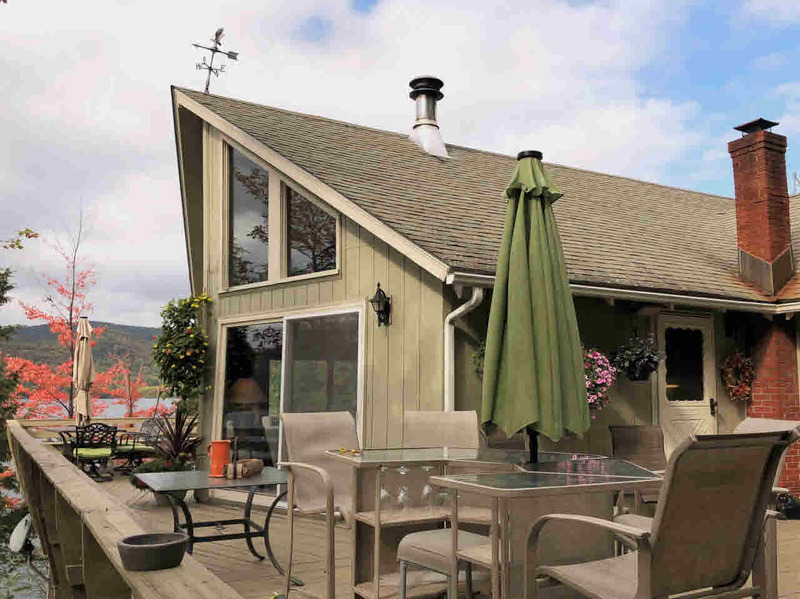 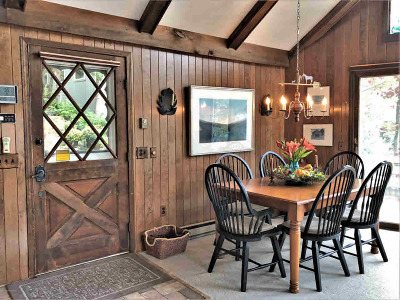 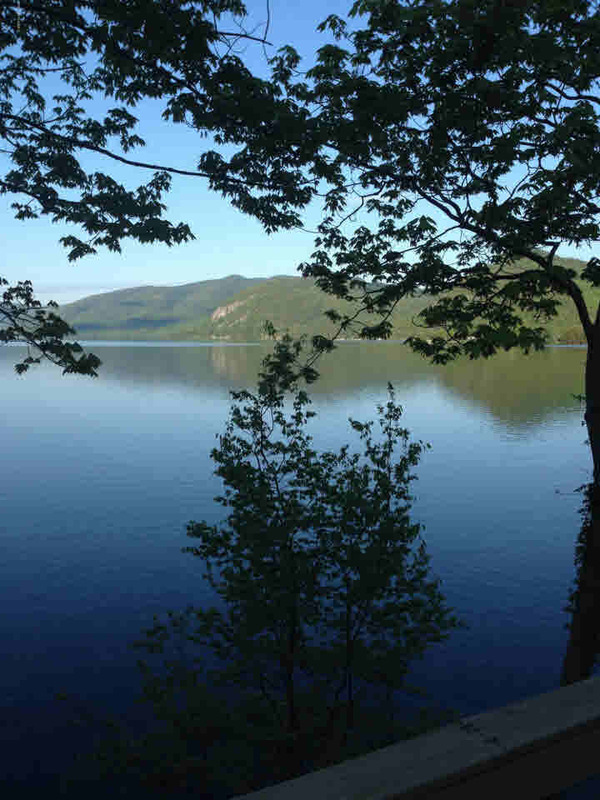 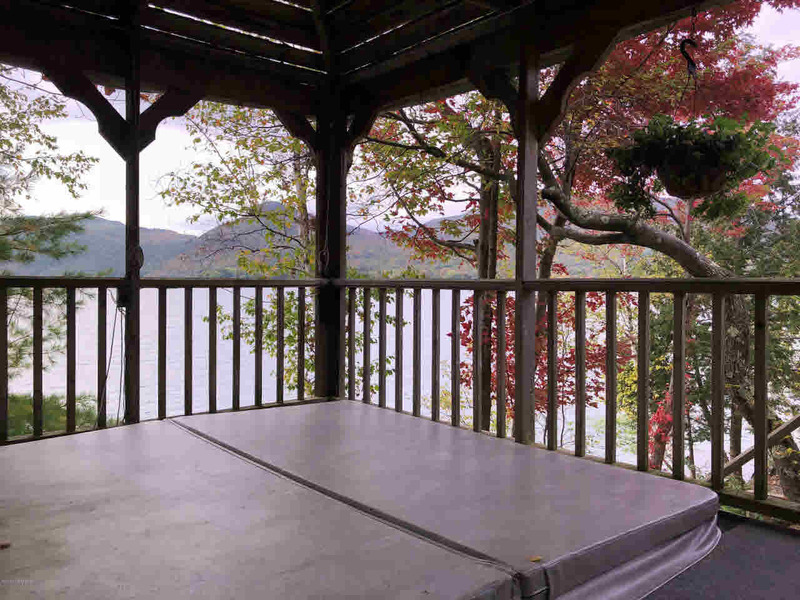 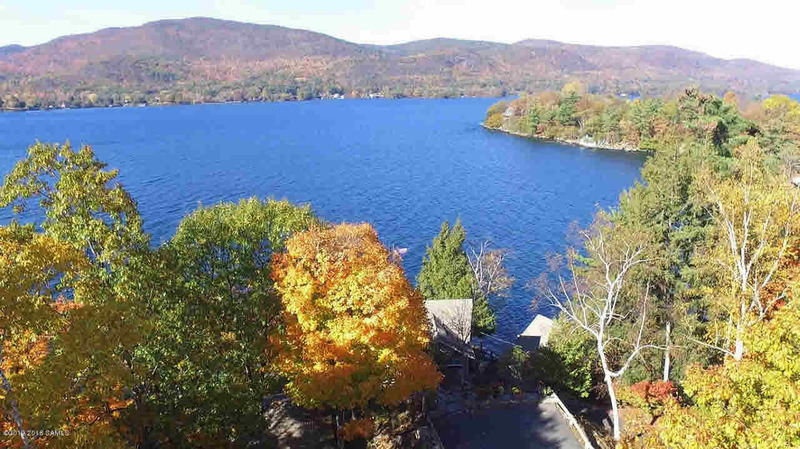 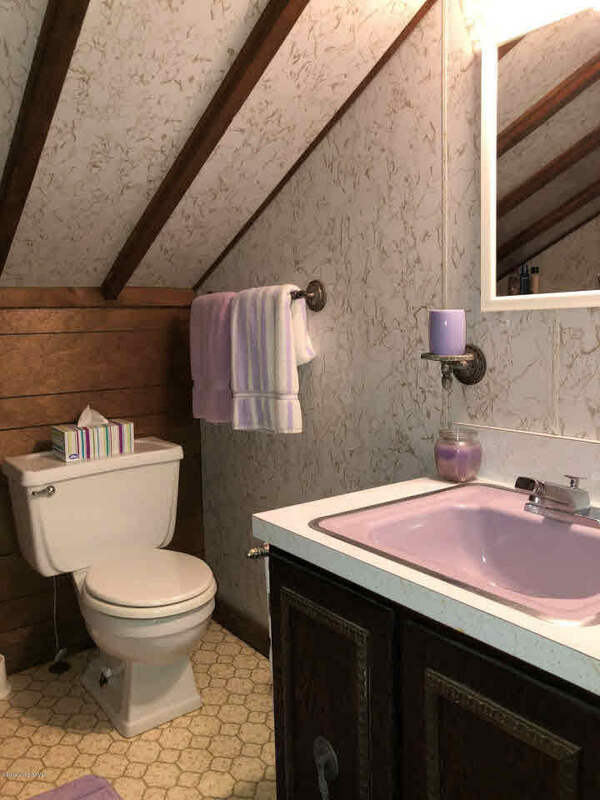 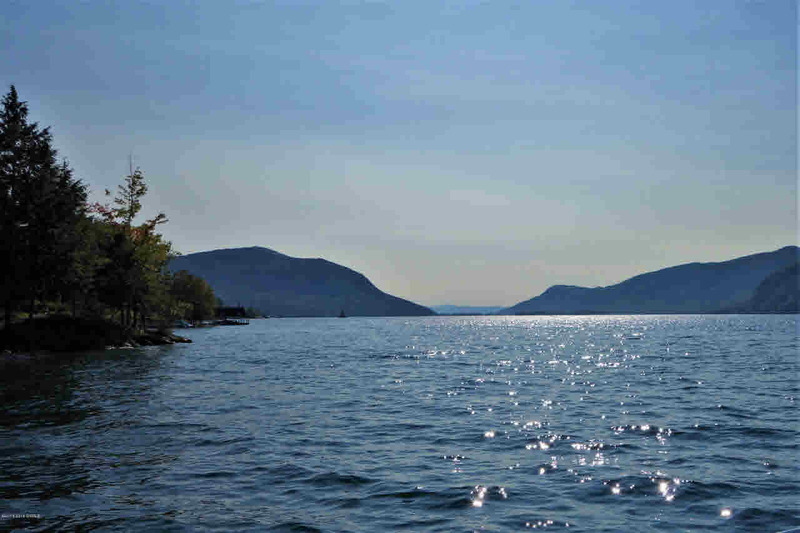 Accessory structures & features incl: covered boathouse w/ apartment above, fully equipped independent fitness studio, lakeside gazebo w/ hot tub, swim dock w/ diving board, wrap around porch & deck, 2 garages(1 w/ workshop), paved drive & generator. 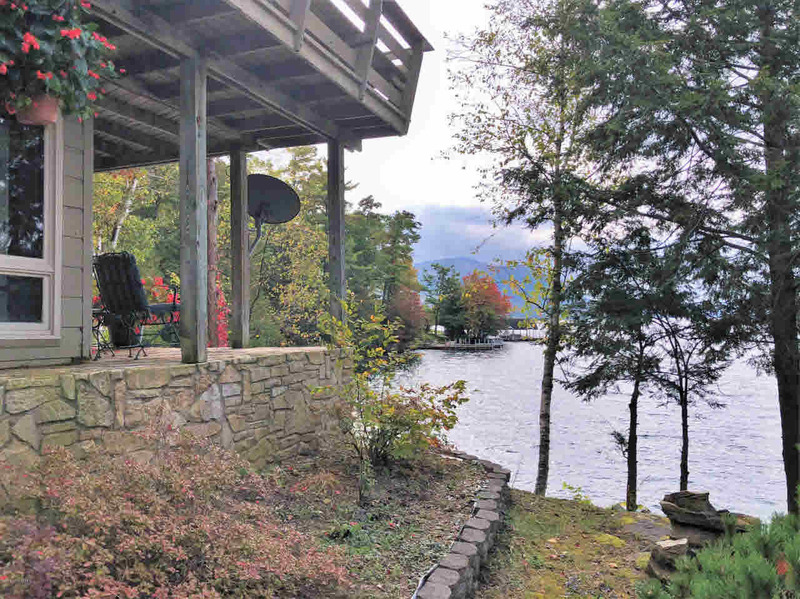 5500 Bluff Head (MLS#190208) & 5501 Bluff Head are avail. to be purchased together for $2, 390, 000 & would make a wonderful family compound w/ possible rental income.